Click image for a 1946x2743 pixel version of this image in a new window. From the page I-2 (page 7 in the PDF) of the Saturn IB/Centaur Propulsion Systems Compatibility Study . This launch vehicle relied on the (soon-to-be) proven Saturn IB. 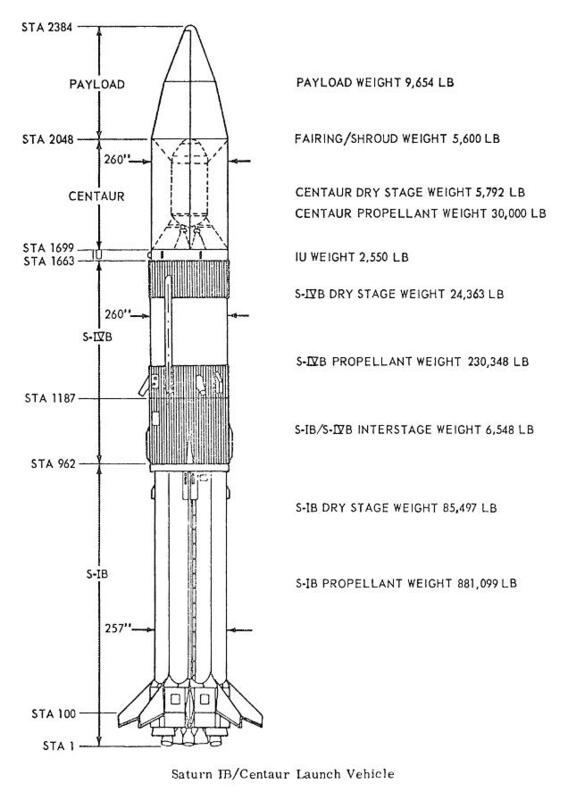 The proposed three-stage configuration required no modifications to the S-IB (first) stage and modified the S-IVB stage only with the addition of four retrorockets of 5,500-lb thrust each to provide for S-IVB/Centaur separation; each retrorocket would add about 200 pounds to the S-IVB stage's weight. The Centaur would require a number of additions and modifications for its Saturn configuration. It's interesting to note that the S-IVB was originally designed to allow the inclusion of two TX-280 solid-propellant retromotors, should some future mission require them. (The Thiokol TX-280 is rocket motor used as ullage engines on the S-IVB (and on the S-V before it); each TX-280 provided 3,460 pounds of thrust.) Although the S-IVB's designers were forward-thinking, it seems that they'd underestimated the necessary separation impulse. 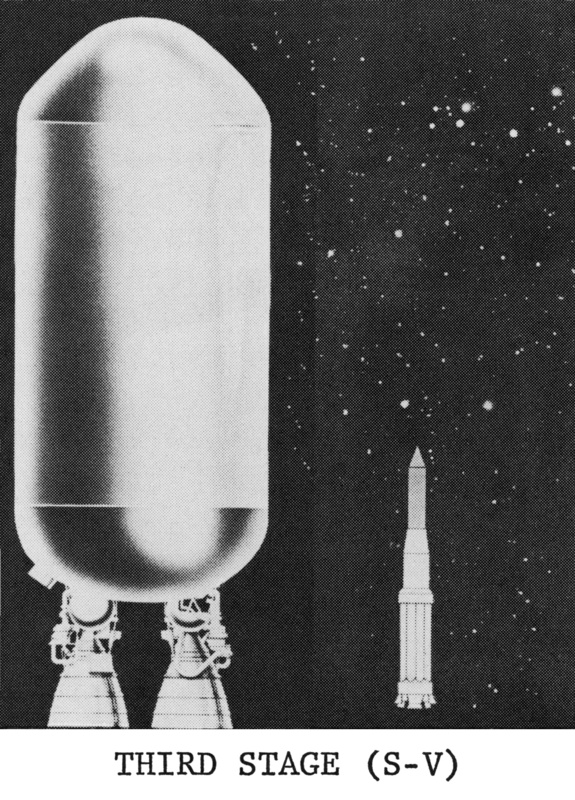 Rather than create an interstage to adapt the 260" diameter of the S-IVB stage to the 120" diameter of the Centaur (similar to the interstage on the Saturn V adapting the width of the S-II and S-IVB stages), the entire Centaur would be encased in an 260" diameter shroud. This was the cause of a number of necessary additions and modifications to the Centaur: Inflight venting of hydrogen gas from the engine chilldown LH2 flow would require ducting beyond the 260" S-IVB stage envelope. Stage umbilicals would need new ducting to carry the normal connection points 70" from the stage to the shroud umbilical positions and a method of disconnecting the stage proper from the extension to the shroud diameter would need to be devised. When used the the Atlas, the Centaur's tank walls were thermally insulated by four jettisonable panels. Helium purging of these insulation panels was required to prevent the condensation of air or water vapor: like the Atlas itself, the Centaur was basically a stainless steel balloon, with its tank walls "no thicker than a dime;" such condensation would increase the rate of heat conduction into the hydrogen tank (much like that of the S-II stage). On the Saturn IB, the shroud surrounding the Centaur would have preflight environmental conditioning and would protect it from aerodynamic heating during flight, decreasing the purge requirement. The 5,600-pound shroud would be jettisoned at an altitude of 350,000 feet. It would be cut longitudinally into two clam-like segments by linear shaped charges. The compatibility study investigated methods of separating the shroud from the Centaur such as the use of cold-gas jets and the use of eight small (200-lb thrust) solid rockets mounted on each of the two shroud clamshell segments, but came to no firm conclusion. It seems odd that such a heavy shroud with a complicated jettison mechanism was chosen; it would seem that a simple interstage adapter could have been used instead. On the other hand, there was a spectacular failure in the Atlas-Centaur program when one of the insulation panels ripped away on the first Atlas-Centaur flight on May 8, 1962, leading to the liquid hydrogen tank overheating, overpressurizing, and rupturing, with the corresponding loss of the vehicle as the leaking hydrogen was ignited by the still-firing Atlas stage, and the Saturn IB's shroud would definitely protect against such an occurrence. And the payload shroud looks suspiciously like that on SA-203, the liquid hydrogen experiment flight, so that would already be flight rated. In any event, the Centaur would require retrorockets to separate it from the payload. The study did not come to any firm conclusions, but figured that a total thrust of 3,500 pounds would be required from the retros. Click image for a 3708x4995 pixel version of this image in a new window. From the page 24 of the Saturn IB Orientation: Systems Training Manual . Located in the Saturn V Collection, Dept. of Archives/Special Collections, M. Louis Salmon Library, University of Alabama in Huntsville, which also makes this document available as a 28.6 megabyte PDF. In this three-stage configuration, the Saturn IB would be able to accelerate a 12,000 pound payload to Earth-escape velocity. 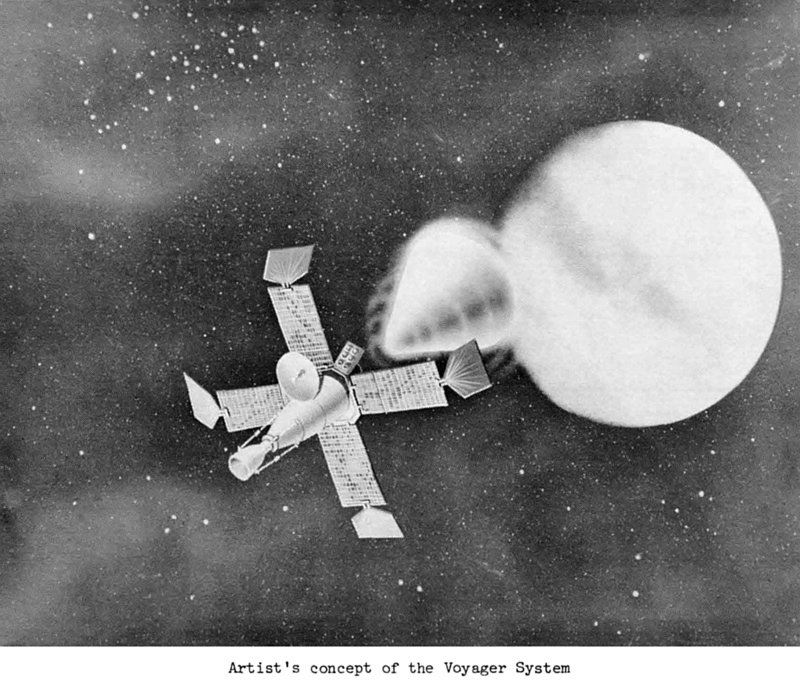 In the beginning, such payloads were simply referred to as "advanced planetary spacecraft," used for sending orbiters and perhaps even landers to the planets. Eventually this program became known as "Voyager." The early Mariner program had a number of successes, including the Mariner 2 (about 450 pounds) fly-by of Venus and the Mariner 4 (about 575 pounds) fly-by of Mars. A Saturn IB/Centaur could place a 9,000 pound payload into orbit around Mars, a very significant increase indeed, and scientists were keen on flying (and landing) additional instruments and experiments. 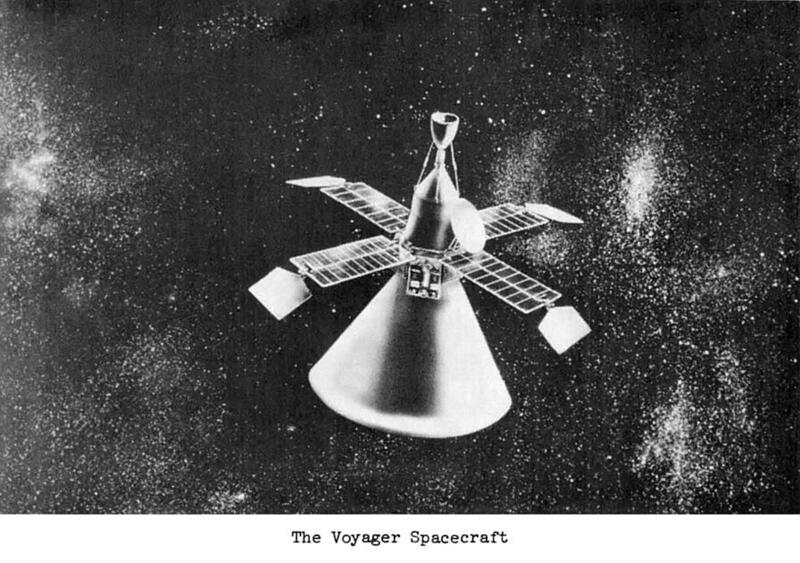 As with many NASA programs in the early 1960s, Voyager was very fluid. Venus as a target seems to have been deferred very early in the program, leaving a Mars landing (including sampling Martian soil in search for signs of life) as the program's major goal ("the first application of the Voyager concept to a planet other than Mars cannot be expected before mid-to late-1970s", with a Venus mission requiring the fewest modifications to the Mars baseline spacecraft, "and of the other planets in the 1980s and 1990s). In fact, I came across one document referring to the program as "Voyager Mars." The timing of the mission was also fluid. In November 1961, a 1966 or 1967 landing was planned. By December 1963 this had slipped to 1969, and by August 1965 a landing was not to take place until 1971. The weight of the orbiter and lander kept increasing, and there was even discussion of using a Saturn V to launch the spacecraft. The overall Voyager spacecraft, with orbiter (top) and lander (bottom, encased in reentry capsule). Click image for a 1417x996 pixel version of this image in a new window. From the page X-6 (page 140 of the PDF) of Proceedings of the Conference on the Exploration of Mars and Venus . Extraction and cleanup by heroicrelics. Separation of the Voyager lander, encased in reentry capsule, from the orbiter (at left). Click image for a 1548x1339 pixel version of this image in a new window. From the page X-9 (page 143 of the PDF) of Proceedings of the Conference on the Exploration of Mars and Venus . Extraction and cleanup by heroicrelics. Entry of the Voyager lander, encased in reentry capsule, after separating from the orbiter (at left). NASA slide SL65-15192. From the page X-10 (page 144 of the PDF) of Proceedings of the Conference on the Exploration of Mars and Venus . Extraction and cleanup by heroicrelics. Landing of the Voyager lander, with orbiter above the orbiter (at left). NASA slide SL65-15193 (assumed; last digit truncated). From the page X-11 (page 145 of the PDF) of Proceedings of the Conference on the Exploration of Mars and Venus . Extraction and cleanup by heroicrelics. If the above slides and the discussion of sending an orbiter and lander to Mars, with the lander sampling the Martian soil and testing it for signs of life sounds familiar, it will come as no surprise that this incarnation of the Voyager program evolved into the successful Viking program, landing two landers on Mars in 1976. Although there was talk of using a Saturn V to launch Viking, it was eventually launched using a Titan III with a Centaur upper stage. A Titan-Centaur performed launch duties when NASA finally did launch probes with the name "Voyager." With the realities of the shrinking budgets of the late 1960s and the subsequent early termination of the contract to manufacture Saturn IB hardware, the Saturn IB/Centaur program was terminated in 1968. In retrospect, it should come as no surprise that Marshall Space Flight Center should consider using the Centaur with the Saturn IB: From some of the earliest proposed configurations, a modified Centaur was considered for use as an upper stage for the Saturn rocket. The Army Ballistic Missile Agency (a predecessor to MSFC) completed the Saturn System Study in March 1959 (less than eight months after the Saturn system had been authorized by the Advanced Research Projects Agency, or ARPA). 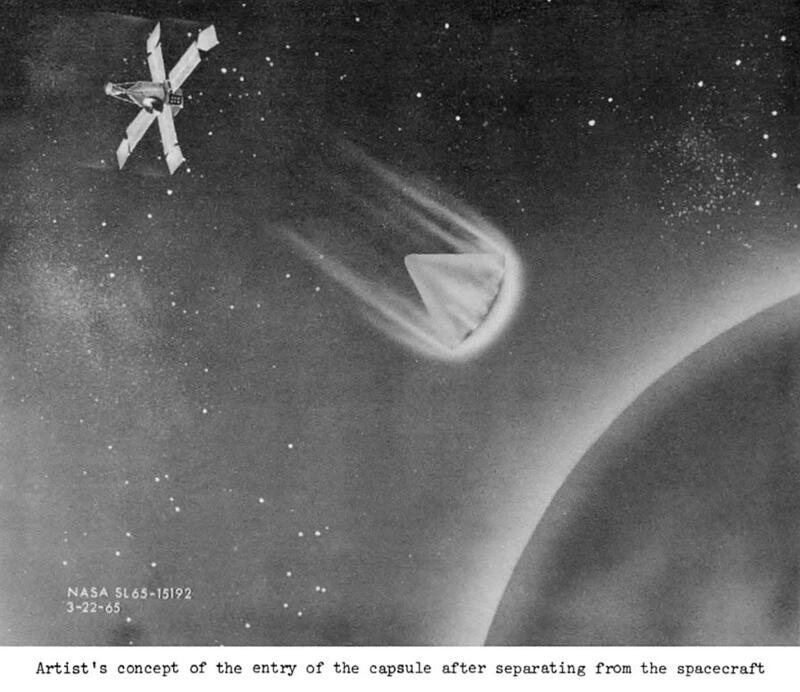 This study (which proposed such imaginative names as "Saturn B" and "Saturn C") investigated the use of an Atlas or a Titan for the second stage of the Saturn (Saturn, at the time, consisted solely of the first, or S-I stage). 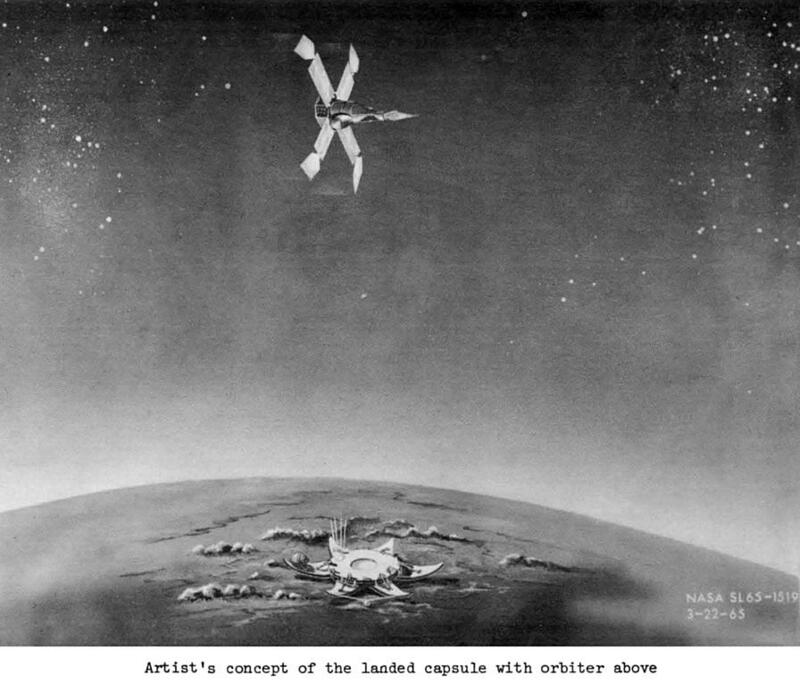 In May, ARPA endorsed the idea of using a slightly modified Centaur as the third stage. Click an image for a 710x2524 (Saturn B and Saturn C) or 603x2687 (C-1 Vehicle) pixel version of the image in a new window. From the pages 5 (Saturn B and Saturn C) and 8 (C-1 Vehicle) of the Saturn Illustrated Chronology, April 1957 to November 1962 , located in my personal collection. Scan and cleanup by heroicrelics. As additional Saturn studies were undertaken, a "building block" approach was adopted: Various Saturn stages (the S-I for the first stage, S-II for the second, up to the S-V for the fifth) would be developed and combined in various launch vehicle configurations (now with names such as C-1, C-2, etc.). By December 1959, the C-1 configuration was finalized, consisting of an S-I stage for its first stage, an S-IV (the Saturn's intended fourth stage) as the C-1 second stage, and the S-V as the C-1's third stage. As seen in the diagram above, the S-IV and S-V would be bridged by an interstage adapting the stages' differing diameters; this is part of the reason I thought it odd that a similar approach was not taken for the Saturn IB/Centaur. While the S-I would use conventional fuels (RP-1 and liquid oxygen), the S-IV and S-V would use the new RL-10, a liquid hydrogen-powered engine. Although it was called an "S-V" rather than a Centaur, it was at least very similar to the Centaur: 120 inches in diameter and two RL-10 engines. 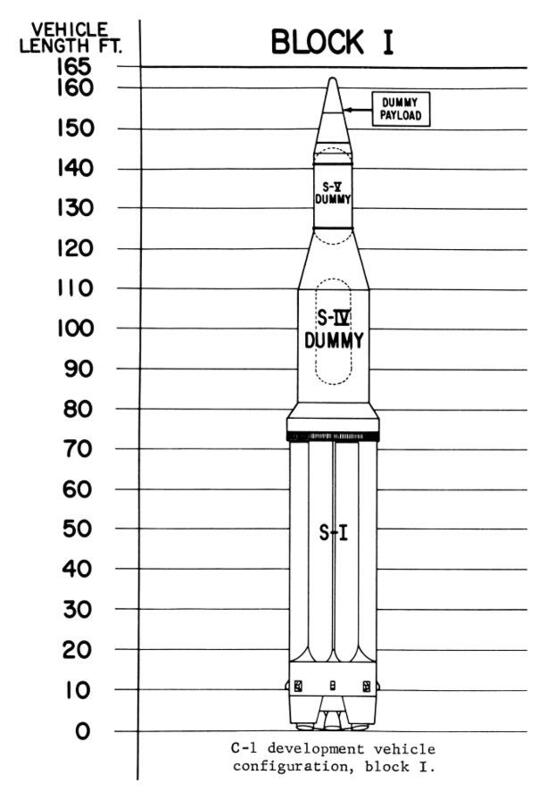 Convair, the Centaur contractor, even provided the dummy S-V stages for the first Saturn launches (see below). Click image for a 1413x1966 pixel version of this image in a new window. From the page 10 of the Saturn Illustrated Chronology, April 1957 to November 1962 , located in my personal collection. Scan and cleanup by heroicrelics. Click image for a 2774x4057 pixel version of this image in a new window. Adapted from the page 19 of From Peenemünde to Outer Space: Commemorating the Fiftieth Birthday of Wernher Von Braun, March 23, 1962 . Located in the Mrazek Collection, Dept. of Archives/Special Collections, M. Louis Salmon Library, University of Alabama in Huntsville. Also available on page 30 of the PDF copy available from the NASA Technical Reports Server. Scan, adaptation, and cleanup by heroicrelics. By the time the successor Block II launch vehicles were produced, with their live S-IV stage, focus had shifted to Project Apollo and landing men on the moon. The Saturn C-1 (renamed to the "Saturn I" on February 7, 1963) was repurposed to use the S-I and S-IV to launch the early (Block I) Apollo Command Module into orbit. 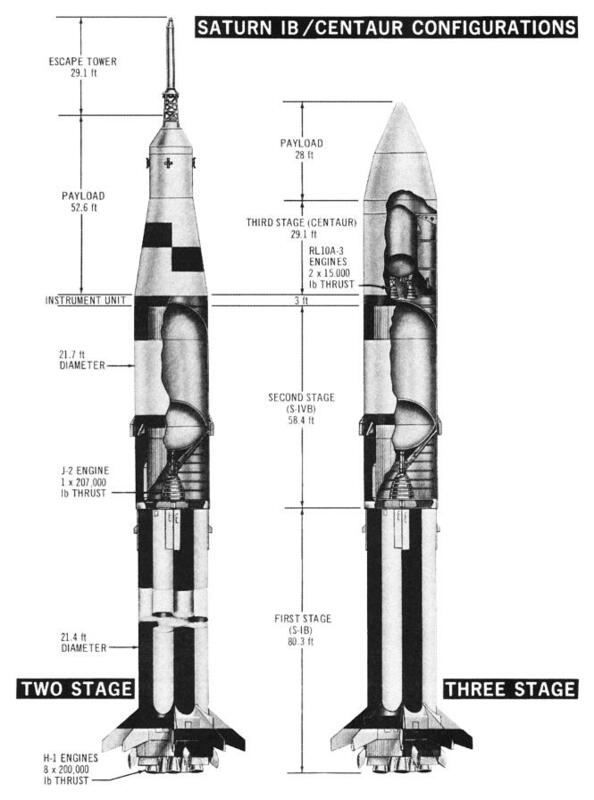 While there were plans to have manned Saturn I missions, focus again shifted to the Saturn IB, with its more powerful S-IVB stage, and the S-V stage was mostly forgotten until it was resurrected in the form of the Saturn IB/Centaur.